Jypyä Pop (Turku, Finland) on 16 March 2019 in Animal & Insect and Portfolio. I hope they'll have lovely babies. Beautiful image of this elegant pair in the choppy waters. 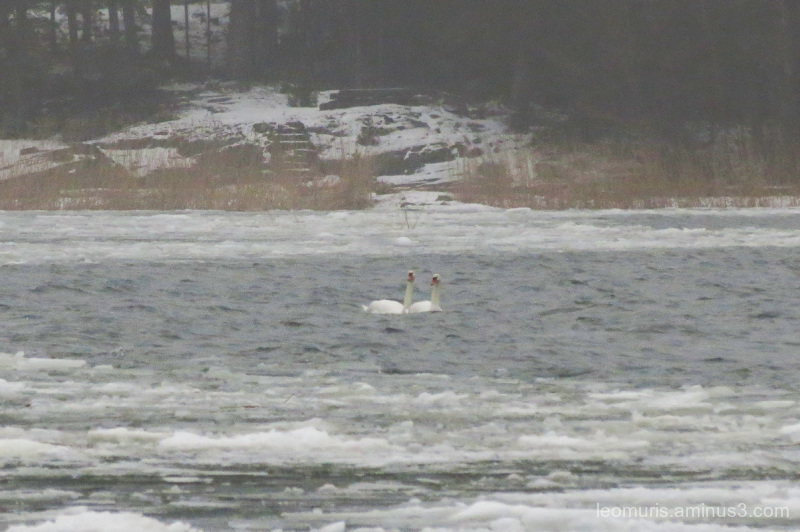 Beautiful swans in the icy water. They seem happy although it looks very cold out there. @B. Thomas: Soon, it's time for romance. It causes happiness. I hope to see photo's nest.